BTCUSD Daily chart per 19 September 2017. Data from BITFINEX. BTCUSD price in market bottom. with the GREEN DOT signal appears indicates that Bullish is preparing to run for the next Bull Rally. Trend as chart published is still in Bearish area. 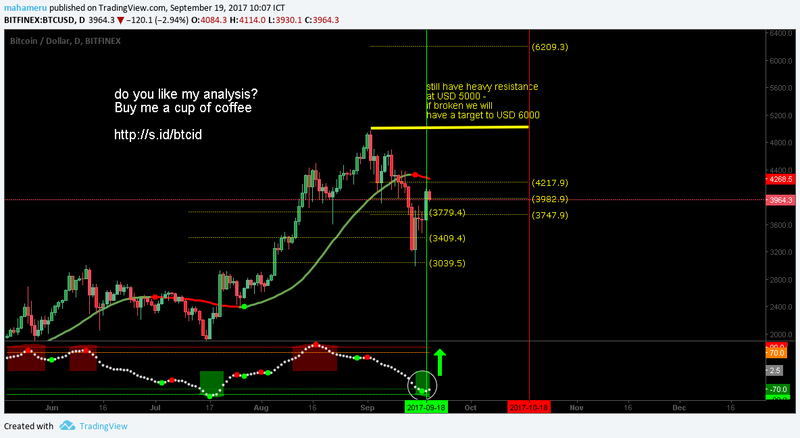 Expect some turbulence since the 1 week chart still show that BTCUSD price is at Market Top.